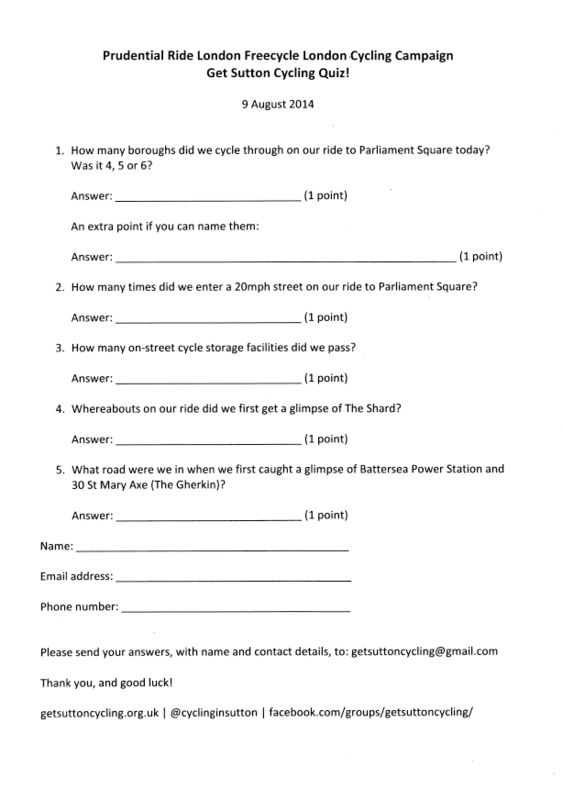 Home › Events › Our feeder ride to FreeCycle Quiz! Our feeder ride to FreeCycle Quiz! Calling all riders who joined our Ride London feeder ride to FreeCycle on Saturday, 7 August! On behalf of the London Cycling Campaign, ride leader Chas, and the ride marshals Ivan, Victoria and Lindsay, would like to thank you for coming along and being part of the Festival of Cycling weekend. Maps showing the routes to and from Parliament Square can be viewed below. It was great to have your company, and we hope you enjoyed the day. We were disappointed not to have received any entries to the quiz. So, we have decided not to give the answers now in case there is another ride next year and there is the opportunity to rerun the quiz again! 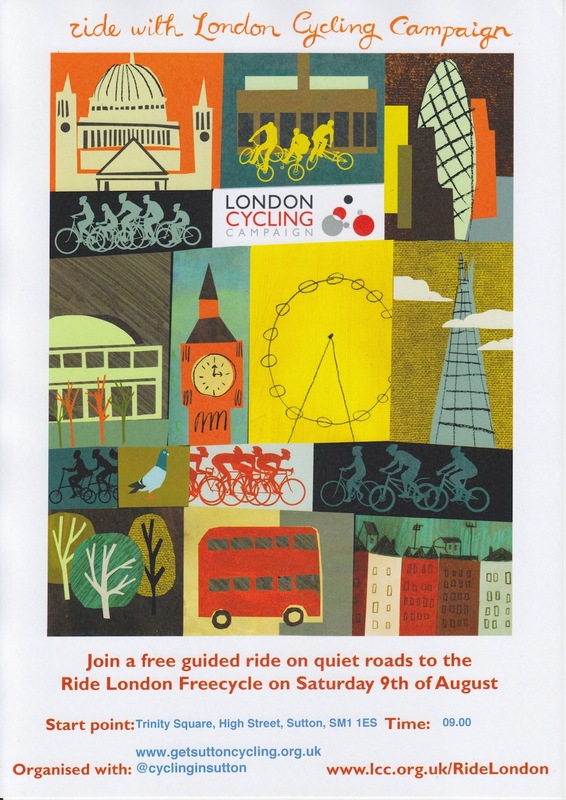 In the meantime, don’t forget that the London Cycling Campaign produce a weekly newsletter. To receive your copy, simply visit the “Sign up to our weekly newsletter” page http://www.lcc.org.uk/ridewithlcc.